This is one of its most theatrical and magical collections, in which the designer is inspired by the different crafts deepening their roots, the province of Jaén, to capture a collection where religion and bullfighting go hand in hand, during the previous months Ubedies has a special commission, the workshop is decorated to work tirelessly for one of the most important designers in our country. Among other achievements Leandro Cano, in May 2017, stands as the winner of the sixth edition of "Vogue Whos's On Next", his art and expertise have catapulted him to the top of the fashion scene, not only in our country but Worldwide. 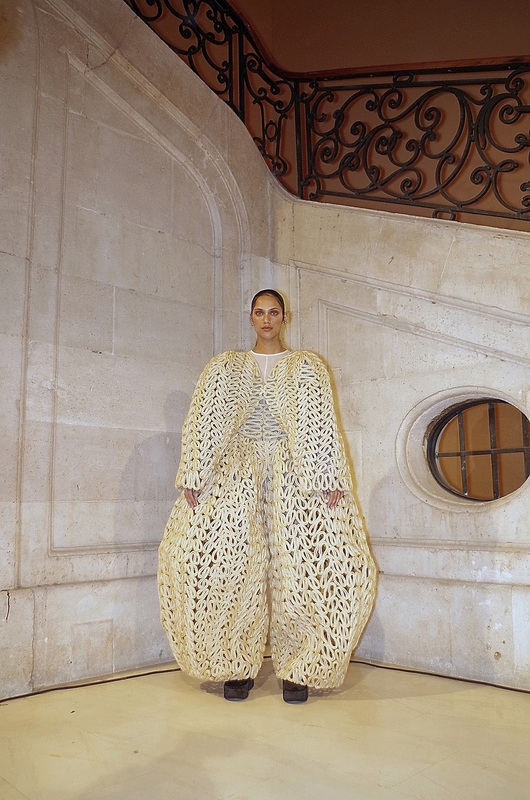 The suit called "Luto" combines the most contemporary design with the most traditional craftsmanship, Ubedies makes the dress with 800 meters of braid of pita and about 20 kilograms of weight, it is conformed in the dress its particular artistic concept. Come the day of the parade, a worm in the stomach and all perfect, spectacular our model who knew how to take with great skill this wonderful suit. Ubedies we want to thank Leandro Cano the strength with which he struggles to maintain the Craftsmanship of our province and think of us for his wonderful collection, as well as Kabuki Tocados, Jimmy Millán and all the sewing and makeup team.